Imagine being 28-years old, at the prime of your life, and being hit by a disease so devastating that you didn't even know it existed. 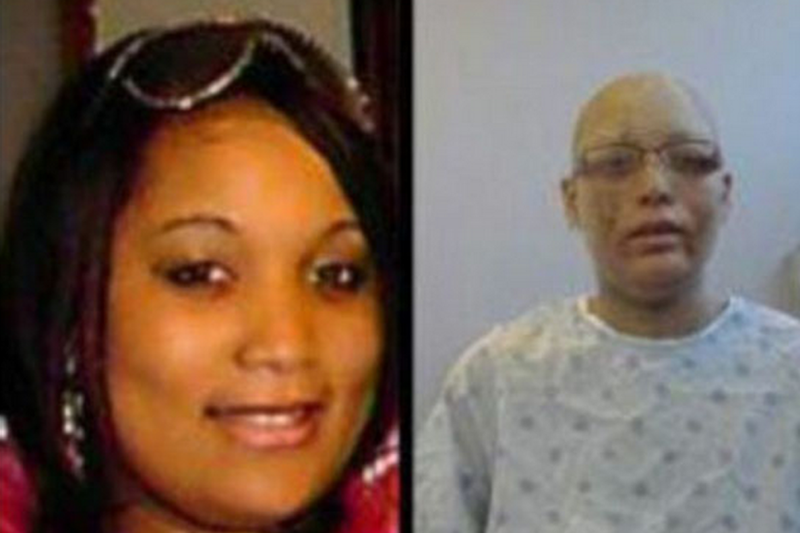 This woman's situation is one that will make you thankful for your health. She has a rare condition in which the hair follicles on her body have been replaced by actual fingernails. Her case hit the media two years ago, and according to the video below, she is now fighting for her life. Shanyna Isom has baffled doctors for the last several years as they continue to try to figure out what happened to this beautiful young woman. According to the Huffington Post, Isom's condition began in 2009 when she went to the doctor after an asthma attack. It turns out that the steroids they prescribed to her caused an allergic reaction. She wasn't worried at first, but became increasingly concerned when she developed bumps on her leg and darkened skin. That's when the nightmare began. Doctors have tried every treatment imaginable, and have run every test. But despite these efforts, they have not yet found a cure for the poor woman's condition. However, researchers at Johns Hopkins University say that she is the only person on earth to suffer from the ailment. Fortunately, they have at least been able to remove some of the sticky nails on top of her head. Her mother says that they grow out far enough to stick you and keep growing back, even if they are removed. The young lady says that she is over a million dollars in debt from this devastating illness. Anderson Cooper offered to help pay for some of her bills, but that money ran out in a matter of months. The pads she needs in order to fight off infection cost $25,000 each, and she is simply having a tough time finding enough money to remain alive. Doctors believe that her condition may be related to a vitamin deficiency, but still aren't quite sure what's going on. Now, she's in the midst of a battle to find the resources she needs to make it back and forth to Baltimore for very expensive treatments. Even leading doctors are saying that they've never seen anything like this before. Watch the video below about Shanyna's condition. Also, please consider visiting her Gofundme campaign page and making a donation. Any amount will help her and you can donate at this link.